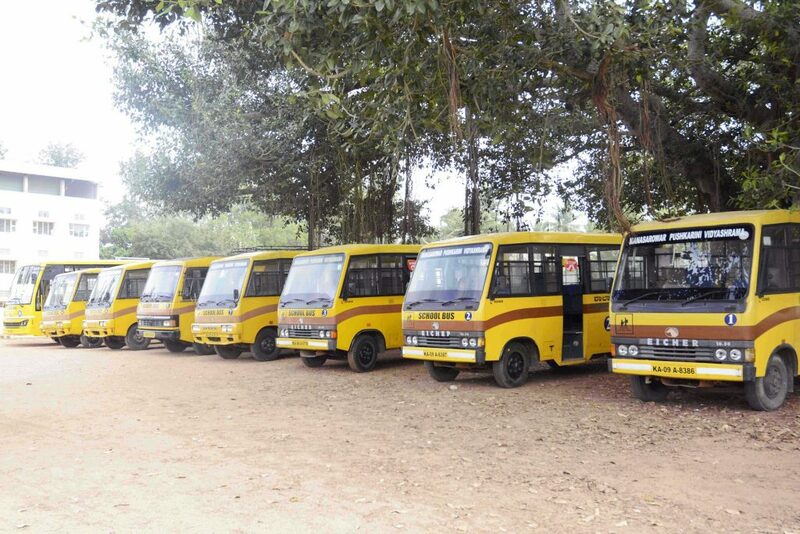 The school runs a modern and well maintained fleet of school buses for the benefit of the students. Riding the school bus is one of the safest means of transport to and from School. Our drivers are oriented with rules of road discipline and attend regular workshops conducted by the Regional Transport Office, Mysuru. All our buses are GPS enabled to help parents track the route followed and if the bus is on time. Every bus has a female attendant as per Government regulations.